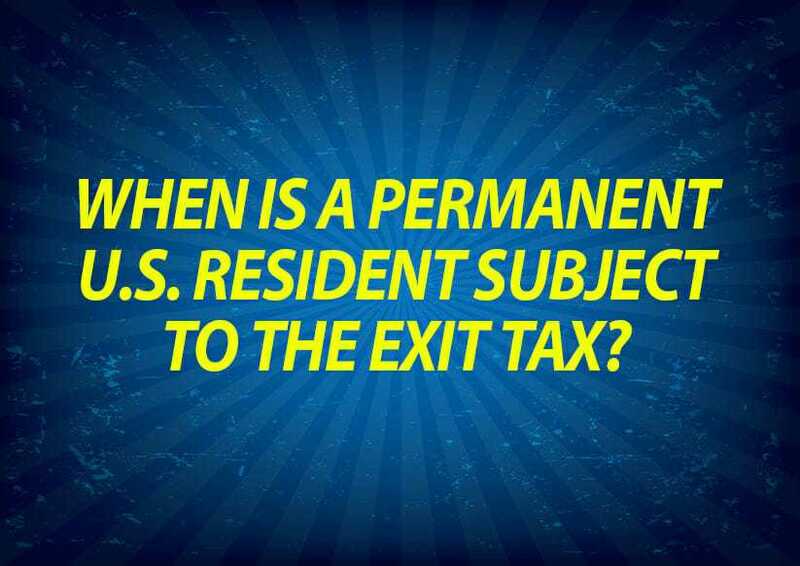 The so-called Exit Tax applies when a Permanent U.S. Resident decides to turn in his or her green card. More exactly, he or she must have held the green card for any part of eight of the previous fifteen years prior to turning in it in. Additionally, he or she must have either a worldwide net worth of $2,000,000 or more, or an average U.S. net income tax liability over the previous five calendar years of $147,000 or greater.